Mogul Base Lights Bulbs: What Are They? 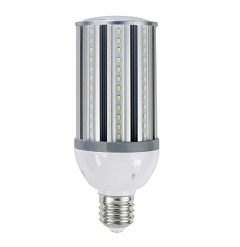 bulbs have larger screw bases (E39) than the standard, medium (E26) screw base bulbs. In fact, the “39” of E39 and “26” of E26 each refer to the millimeter width of the respective screw bases (i.e., E39 base bulbs = 39 millimeters = 1.5 inches; and E26 base bulbs = 26 millimeters = 1.0 inch), and do not refer to the shapes of the light bulbs. More power, more heat. 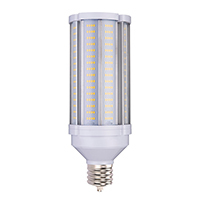 Mogul base bulbs are made of cast porcelain to tolerate higher temperatures, making them ideal for industrial and commercial uses (e.g., power ratings of 250-1000 watts); in terms of technology, mogul base LED bulbs, mogul base compact fluorescent bulbs, and mogul base halogen, mercury vapor, metal halide, and high pressure sodium bulbs are available in the market. “U” stands for mogul base. Selecting the correct size bulb can be confusing because light bulbs in general are available in different base sizes. All you have to remember when reading product descriptions is this: the “U” in, for example, M175/U/MED and MH1000/U/BT56, stand for mogul base. 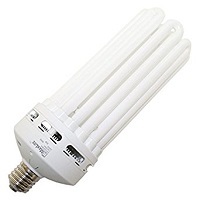 But if you happened to get a medium base bulb (E26) for your mogul base lamp (E39), the good news is that you can get a reducer to use the E26 light bulb on your E39 base bulb lamp; additionally, you can get a converter to use a 3-way E26 light bulb in a 3-way E39 base bulb lamp.